Michael Brown protest in downtown Clayton on Tuesday Afternoon, August 19th. A standoff between protestors and police from Clayton, Kirkwood, and St. Louis County in front the St. Louis County Jail ends with two arrests. 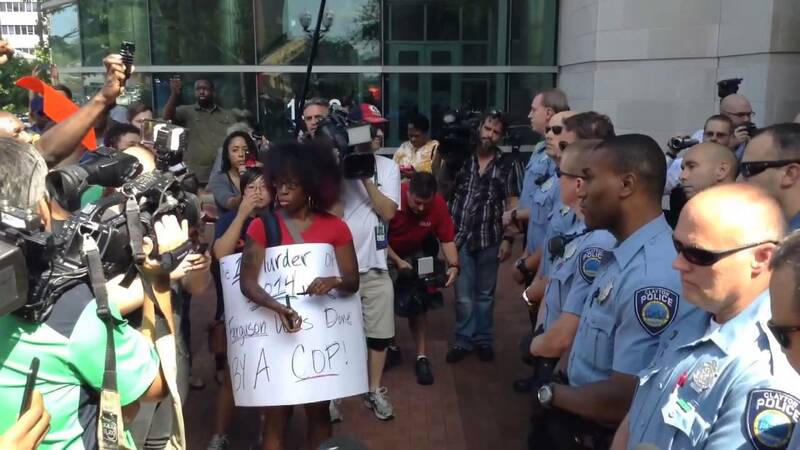 The protestors were demanding to speak with St. Louis County Prosecuting Attorney Bob McCulloch.